Conquer Online, set in the word of ancient China, is a free-to-play 2.5D MMORPG. Within the beautiful and opulent world of fantasies, you will control a strong and gallant hero, slaying outrageous monsters, completing dangerous quests and having the most fun in your life. EXP Balls A lot of EXP Balls, they will help you level up much faster than other players. EXP Potion A lot of EXP Potions, you can gain double exp for one hour. Super Equipments and Weapons These super items will increase your Battle power. Meteor There are a lot of Meteors in Beginner Pack, it can help you level up your equipment. +1 Stone You can get some +1 Stones to compose your equipment, to increase the attribute of your equipment. 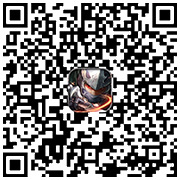 Garments and Mount Armor Beautiful garment and mount armor can help you to customize your character.